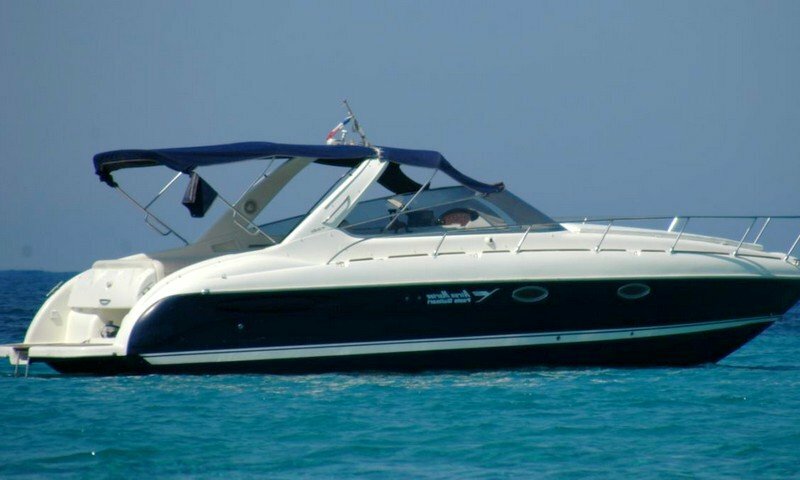 Built 1999 by Airon Marine (IT) in GRP hull & deck after exclusive designs by Paolo Molinari. Planning hull with large aft cockpit convertible dinette. Wide large integral aft bathing platform with telescopic bathing ladder. Sleeps 4 in double berth cabin forward and twin berth cabin aft.